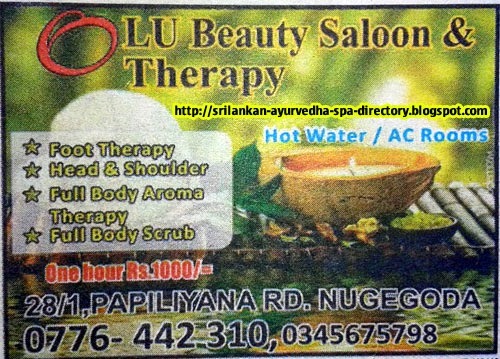 Sri Lanka Massage Places and Ayurveda Spa's Information Directory: LU Beauty Salon & Spa Therapy - Nugegoda. LU Beauty Salon & Spa Therapy - Nugegoda. LU Beauty Salon & Spa Therapy, No. 28/1, Papiliyana Road, Nugegoda.